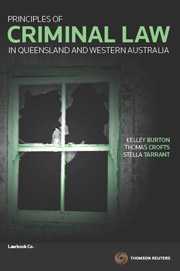 Principles of Criminal Law in Queensland and Western Australia is a new text which aspires to engage students in the criminal law in Queensland and Western Australia by explaining and applying its fundamental principles. In both these jurisdictions the criminal law stems from the Griffith Code, which was enacted in 1899 in Queensland and in 1913 in Western Australia. While there have been dynamic changes to both Codes, the core principles in the 21st century remain identical to those that formed the basis of Griffith’s original Code. Each chapter of Principles of Criminal Law in Queensland and Western Australia is clearly set out with a statement of learning outcomes followed by an explanation of the principles (with diagrams and tables where appropriate to illustrate more complex principles). 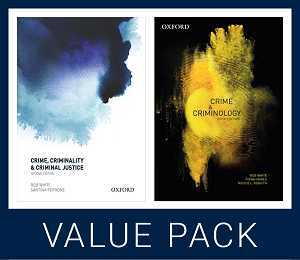 These are followed by an elements toolbox which identifies the elements of an offence, defence or excuse, and a guide to problem solving which is designed to equip students with the ability to apply their knowledge of the criminal law to real world scenarios. Each chapter concludes with revision questions and answers to provide students with a means of monitoring their understanding of the criminal law; problem questions and answers to motivate students by supplying them with instant and worthwhile feedback on their ability to apply the criminal law to a problem; and critical thinking questions to encourage students to reflect on the criminal law and drive curiosity about how the criminal law could be continually improved.